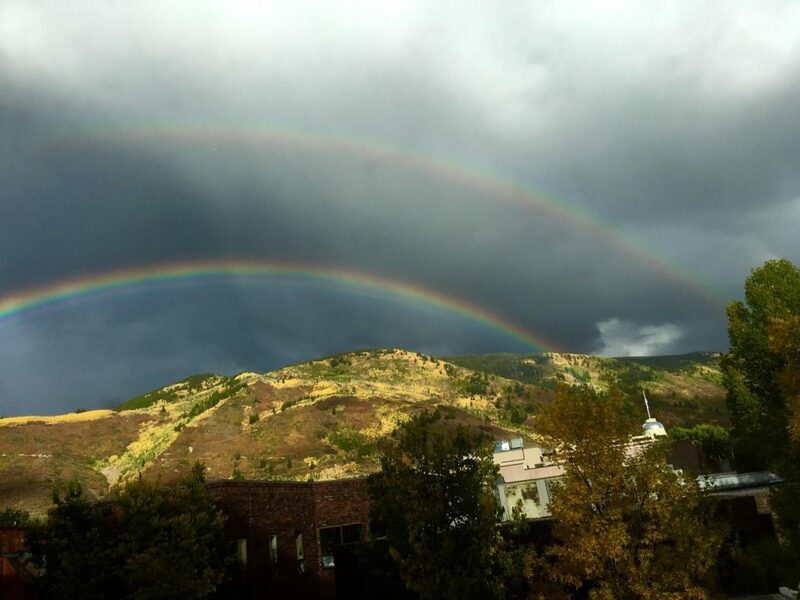 This photo was taken last night – from the window of the Wheeler Opera House at the Aspen Film Festival. I'm pretty sure I was the first to notice it, but once I did, everyone flocked to the window to see the incredible spectacle. Serendipity. The subject of my post yesterday. Cue Twilight Zone theme song! A double rainbow is considered a symbol of transformation and is a sign of good fortune. The first arc represents the material world, and the second arc signifies the spiritual realm. Considering that I'm working on a screenplay about "the other side" this is especially mind-blowing.